“WAAAAAAAAAAAAAAAAAADE! Say it isn’t so!” The clock is ticking and Deadpool doesn’t have much time left. 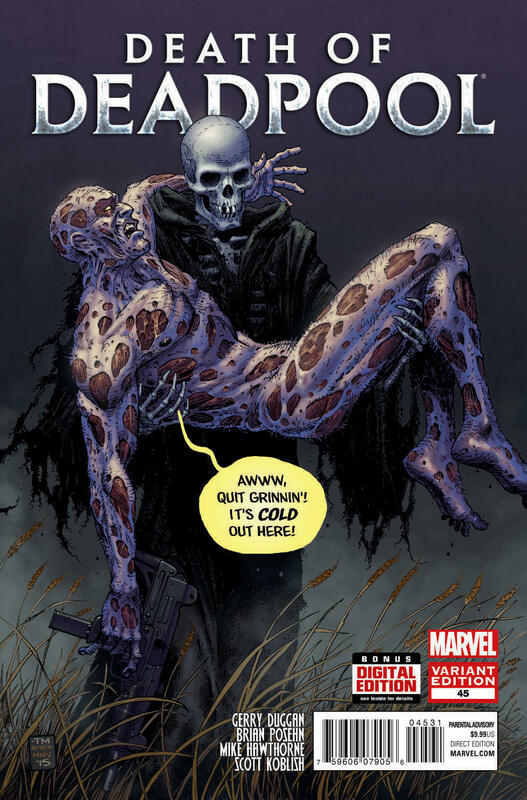 Here is what Marvel had to say about the demise of Wade Wilson. That’s right! 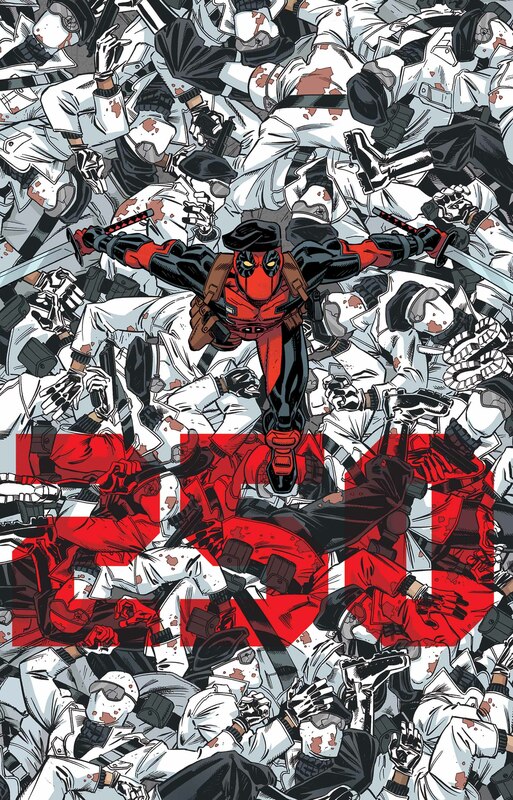 Add up all the Deadpool series (creatively), and April’s DEADPOOL #45 marks Wade Wilson’s landmark 250th issue! How is he celebrating? He’s dying! The end of the line comes for all, even one such as Deadpool, but he’s not gone yet! Say your condolences with this new look at the colossal-sized series finale! 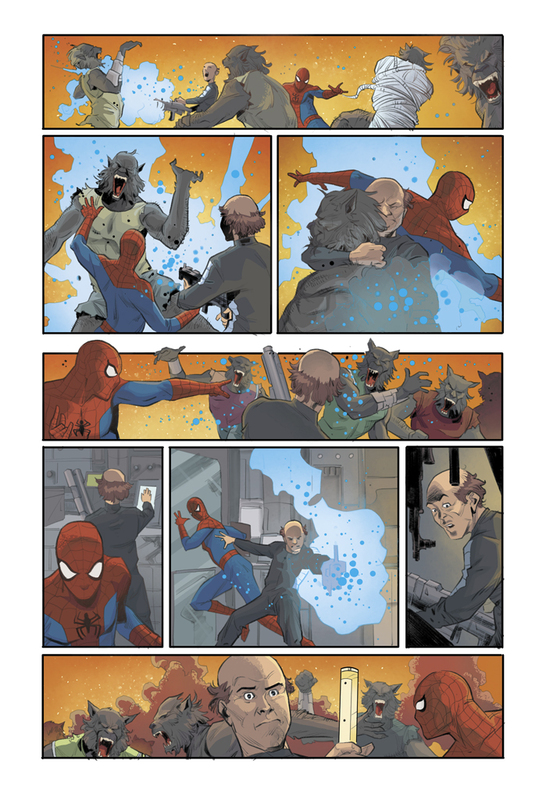 First, Gerry Duggan, Brian Posehn and Mike Hawthorne serve up a 30-page main story, as the villainous Ultimatum finally makes their move. 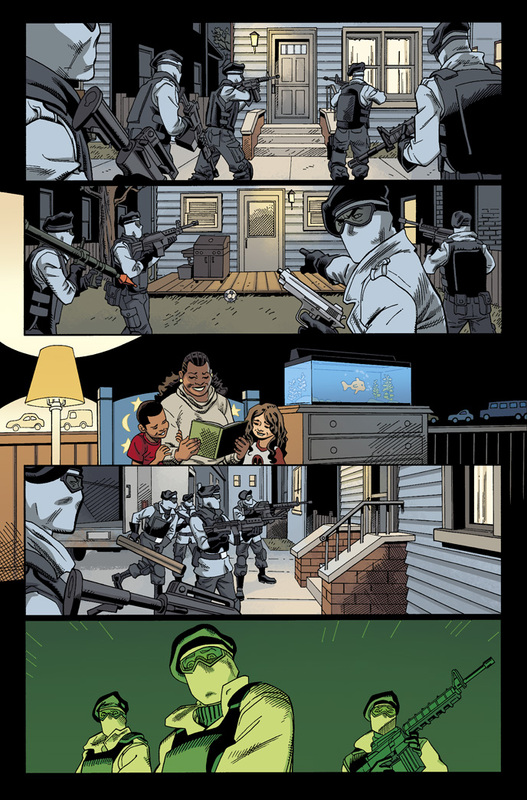 They’re coming for Deadpool – every last one of them! It’s going to be a bloodbath, but Wade’s going to go down swinging. Then – Gerry, Brian and Scott Koblish bring you a long lost, full length Deadpool tale. 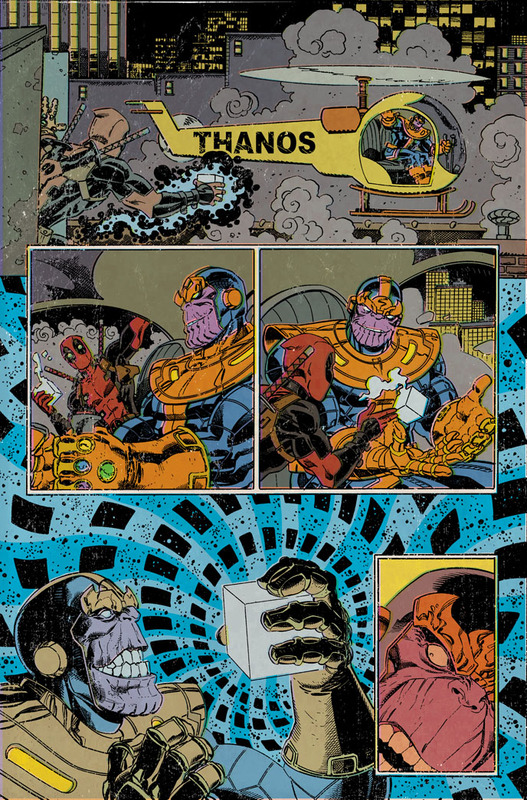 Remember when Wade got a hold of the Infinity Gauntlet? No? Don’t worry – that’s what the story is for. And yes, you should be worried Wade Wilson is in possession of nigh-infinite cosmic power. First order of business? Summon the entire Marvel Universe for the ROAST OF DEADPOOL! Finally, a killer (see what we did there?) line-up of celebrities, comedians and friends of ol’ Wade as they pay tribute to the Merc With a Mouth. Say goodbye alongside Paul Scheer, Nick Giovannetti, Scott Aukerman, Ben Acker, Ben Blacker, Jason Mantzoukas, Mike Drucker and more! Wade will soon be gone, but never forgotten! Especially as he’s poised to make such a grand exit. And you can be there for the ride. 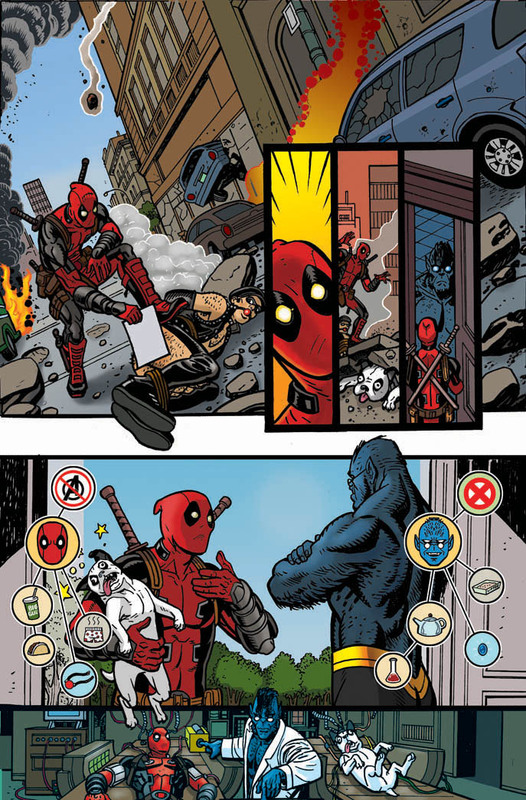 No fan can afford to miss the massive 250th issue this April when DEADPOOL #45 comes to stores this April! 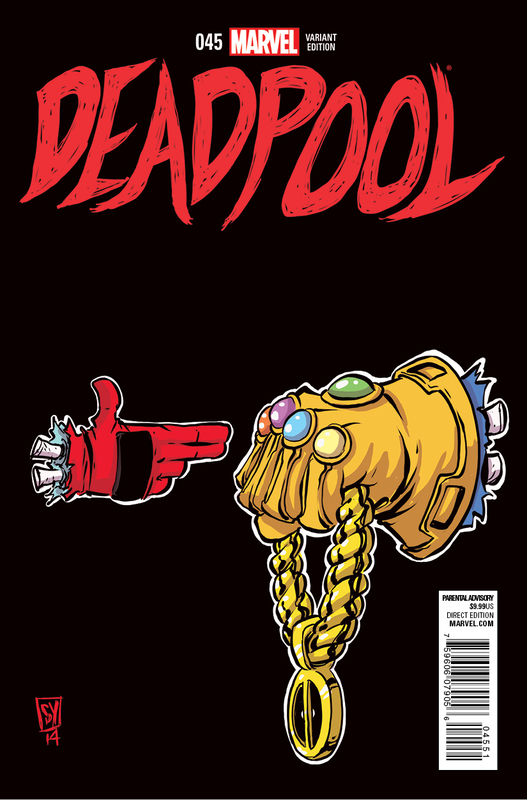 This entry was posted in Comic Books, Marvel and tagged #45, Brian Posehn, Comic book, Dan Panosian, Deadpool, Deadpool #45, Gerry Duggan, Infinity Gauntlet, Marvel, marvel universe, Merc WIth A Mouth, Mike Hawthorne, Skottie Young, Thanos, Tony Moore, Wade Wilson. Bookmark the permalink.